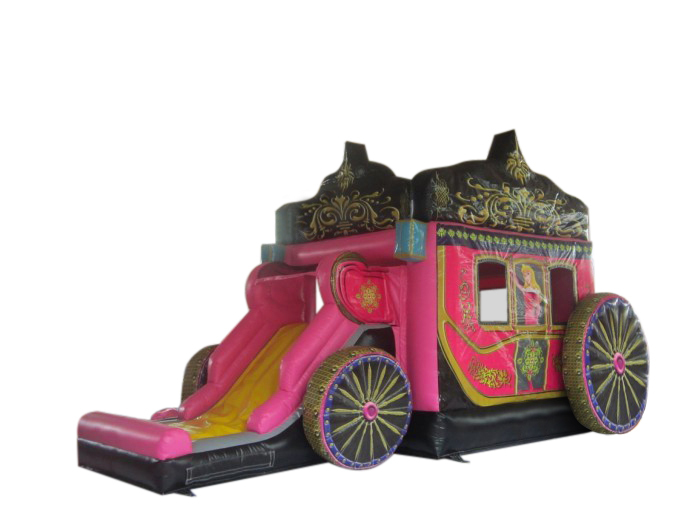 Epping Princess Carriage | JOLLY JACKS JUMPING CASTLES! The Epping Princess Carriage, is perfect for your little girl. 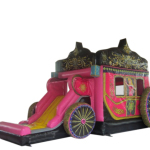 Have not seen this jumping castle / inflatable bouncer anywhere else in the country. Be one of the first to have this new bouncer at your party. Internal big play area, which is closed off with a roof and a big double size slide on the front. Make this the centrepiece of your princess themed party for your little princess and her friends. The will absolutely love this carriage. We can tailor a combo deal to suit any party. Discounts apply when booking 2, 3 or 4 plus items. Please contact us or look at our combo page to see some of our many examples.